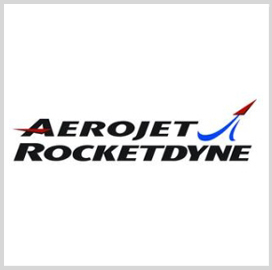 Aerojet Rocketdyne produced the propulsion system for a U.S. Air Force used to launch a military communications satellite Wednesday from Cape Canaveral Air Force Base, Fla.. The company provided the Wideband Global SATCOM-6’s booster engine, upper-stage engine and multiple spacecraft attitude control thrusters, Aeroject Rocketdyne announced Wednesday. Boeing built the WGS-6 lifted off aboard a United Launch Alliance Delta IV medium rocket (click here for ExecutiveGov’s coverage of the launch). Aerojet Rocketdyne’s engines and propulsion system worked to provide thrust needed to lift the rocket, power the spacecraft and perform orbit insertion of the WGS-6. The company added that the Delta IV rocket also had 12 of its monopropellant thrusters. The WGS-6 is part of a constellation of satellite communications system intended to provide bandwidth and communication services to U.S., Canadian and Australian defense forces. WGS-5 was launched in late May this year.